Volunteer Vicky. Climate-Concerned Chis. Involved Ivan. Generous Giver Grace. How well do you really know those who give to your cause? The aforementioned characters represent your donor personas - generalized representations of the real people who make up your organization’s donors. By grouping your donors into a few different personas, you will have a much better idea of how you can reach each type of person who wants to give to your organization. Think about it: how can you effectively reach those who give to your nonprofit if you know nothing about them? What kind of jobs do your donors have? How old are they? What issues do they care about? How do they want to be communicated with? This post will give you an idea how you can better reach your donors by creating unique donor personas for your nonprofit. So how can you get to know your donors? Look for trends. Check out any data you might already have on your donors and look for patterns. Perhaps you find that a common type of donor is a family-man/woman and an executive in a company who earns over $100k annually. Maybe also you discover that a large number of people who donate are young millennials who are concerned about making a change in the world. Whatever the case may be, look for trends and begin lumping information together in order to start to identify each distinct donor persona. Use your website and social media networks. 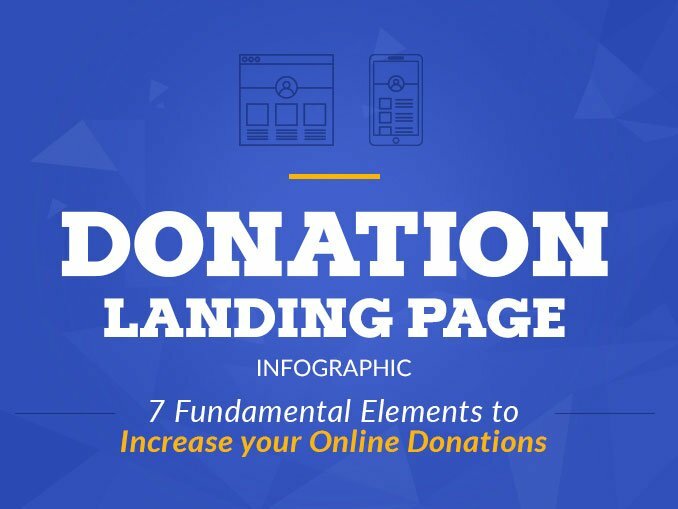 As a nonprofit, of course the most important form on your website is your donation page. Although we want to keep personal information to a minimum in order not to discourage donors from leaving the page, be sure to ask them for key information such as their address (in order to have their location), contact info, and name of their organization (as an optional blank). You could also create surveys and share them on your social media networks or via email to collect more personal information on your donors. Interview your donors. Don’t be afraid to get your donors on the phone or send them a personal email in order to gather more information about who is giving to your cause. You could ask them questions related to their job role, a typical day in their life, what is their definition of success, what are their daily challenges, what kinds of issues concern them, what they are passionate about, etc. Once you have collected the necessary data for your donor personas, your job is easy. You simply have to click on the button below to download either our Printable PDF or our Editable Spreadsheet Template (or both) and complete them as best you can with the information you have collected. Don’t worry about completing every space all at once; the idea is that you have this guide to develop each persona with as many personal, professional, and philanthropic attributes possible. Feel free to create as many donor personas as necessary. What do you do once you have your donor personas? 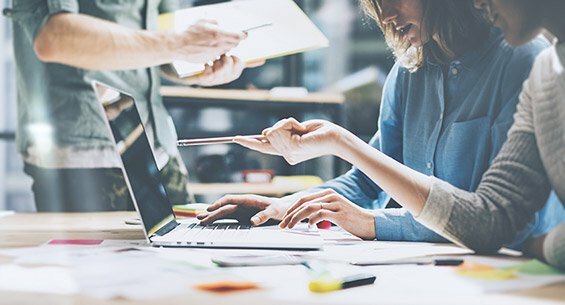 Once you have a concrete idea of the primary types of personas that donate to your organization, it’s time to figure out how to reach them. You can start by tailoring your marketing to each distinct donor persona. Perhaps you can send weekly updates to your middle-aged, married persona and focus your Instagram stories more on your millennial givers. The important thing is that you discover who is giving to your cause and the means by which they would like to be communicated with. This way you can retain old donors and bring in even more new donors because you will be now speaking the language of each persona. So what are you waiting for? 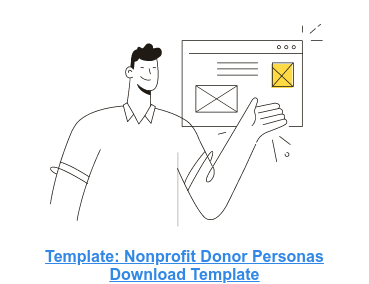 Get started creating your nonprofit donor personas today!